Seriously refreshing for a summer dessert! 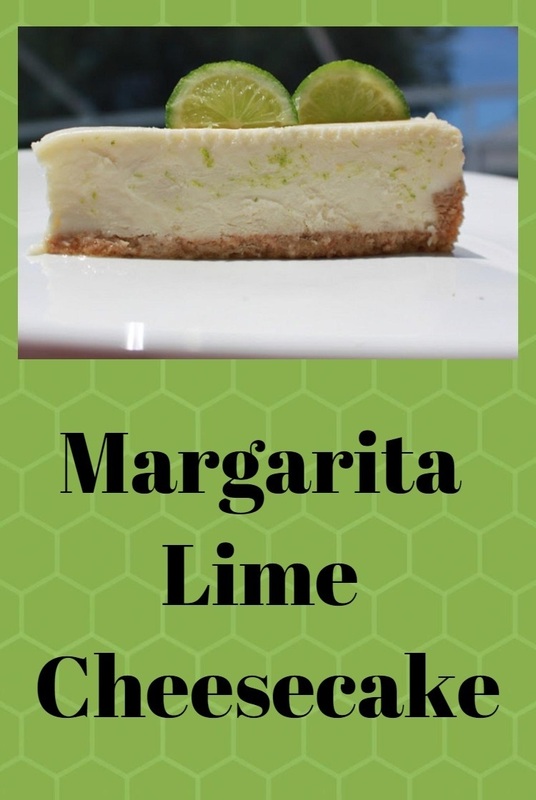 Margarita Lime Cheesecake will have everyone asking you for the recipe! There isn't a summer function that I bring this too that everyone doesn't rave about this cheesecake. Not the traditional lemon flavoring but a touch of lime will bring you right to the tropics! Don't miss out on trying this one! Mix together and press into a lightly sprayed spring form pan. Wrap the pan on the sides and bottom with aluminum foil. Set inside 1/4 inch of water in a large roaster pan laying completely flat. In a large electric mixer beat eggs, sugar will light. Add softened cream cheese. Whip still smooth around 5 minutes. Add all the flavorings and mix well. Pour into the spring form pan. Bake at 350 degree preheated oven for around 1 hour or till the middle is set. Chill for several hours before serving. Garnish with sliced limes and a dollop of whipped cream on top. It's wonderful! I would like to try to make a cheesecake!!! This looks so light and airy…I would love to have a piece right now with my tea! Margarita and tea….OK! This would be a perfectly delicious ending to a Mexican dinner! My husband would go nuts over this cheesecake, Claudia! I'm simply drooling over your Margarita cheesecake. So light, creamy and the Lorna Doone cookies are so perfect for the crust! Claudia - Why am I just seeing this recipe for the first time today? It's sounds wonderful! I will have to try this recipe this summer! It looks delicious! Thanks for a chance to revisit this delicious recipe! I love lime desserts and this cheesecake is a winner!